ESC is a proud sponsor of the Herd of Hope, benefiting cancer research at Roswell Park Comprehensive Cancer Center. ESC employees getting ready for Best Places to Work Luncheon. As an HR and Business Services firm, we regularly help clients develop the kind of world-class corporate culture that attracts and motivates top performers. 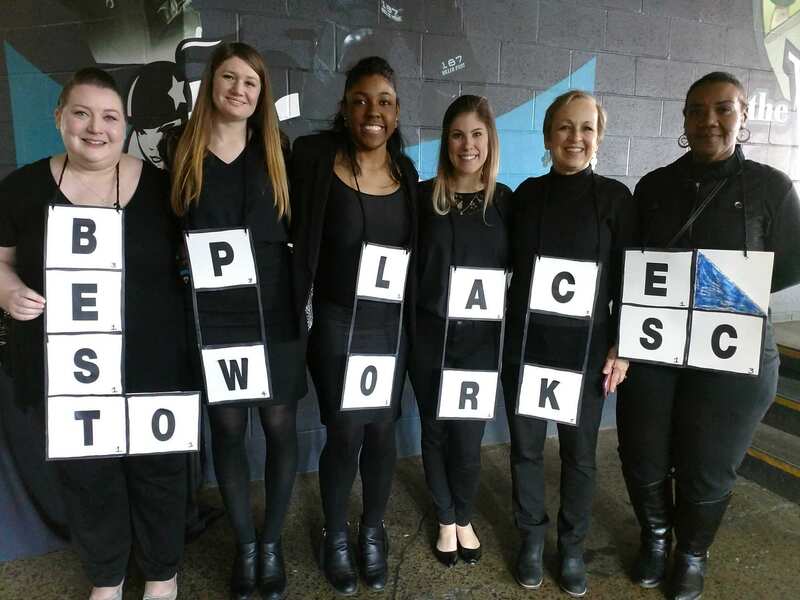 Here at ESC, we practice what we preach with a well-defined and compelling corporate culture, one that has landed us on WNY’s Best Places to Work list 11 times. Exceeding our clients’ expectations and delivering exceptional service are keys to our culture. Each and every employee at ESC is passionate about the work we do and the impact it has on our customers’ businesses and employees. We thrive on providing our customers with a level of personal service that is not often seen in today’s automated world. While we work hard, we also value stepping away from work and having some fun. Our special events committee loves planning employee activities, including our annual summer picnic, “Are You Smarter Than a Fifth Grader” competition, Halloween costume contest, cooking competitions, and bowling outings just to name a few. As a Buffalo-based company, it’s important to the ESC team that we support our community. 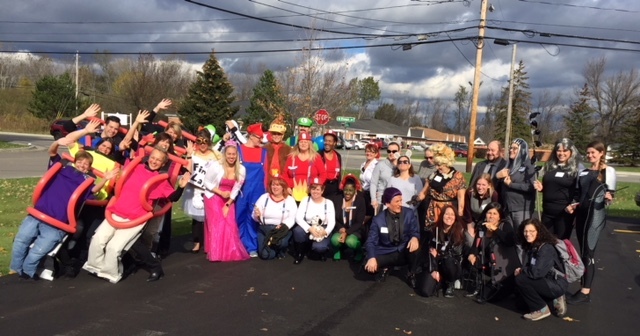 Throughout the year, groups of employees can be found collecting food for the Food Bank, giving to the United Way, participating in walks and runs to support the March of Dimes and Susan G Komen Foundation, attending fundraisers for Haven House, and supporting many other worthy causes throughout Western New York. 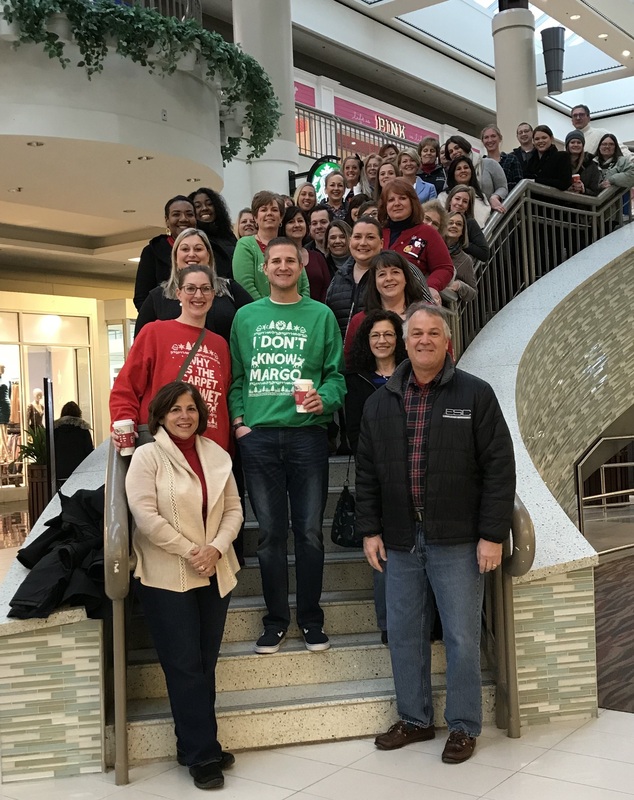 ESC’s annual Holiday Shopping Spree.